Cartmel is a pretty village close to Grange-over-Sands in Lancashire. 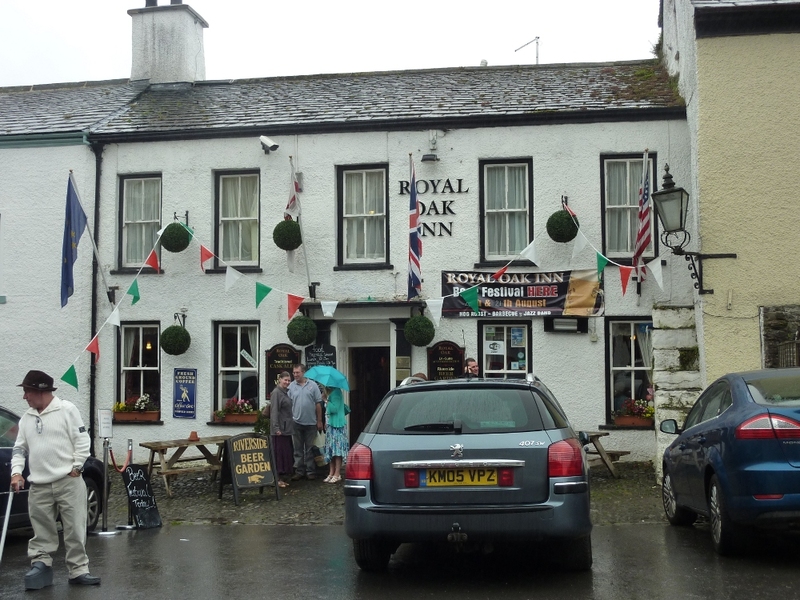 There are several pubs here worthy of a visit, and one of these is the Royal Oak Inn, which sits cheek-by-jowl with the Kings Arms on the village square. 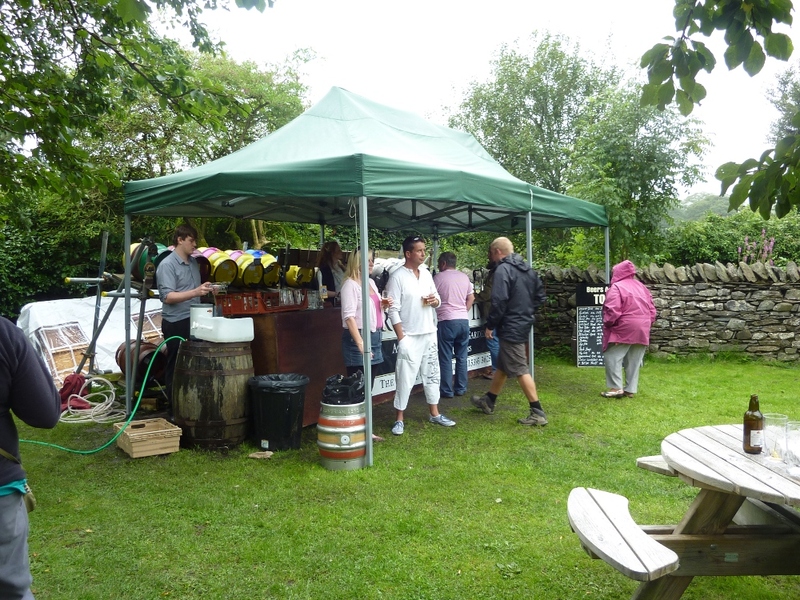 The Royal Oak held the 2011 Cartmel Beer Festival on the weekend of 20th/21st August. I visited on the 20th, Saturday. I’d never been to Cartmel before, it’s a bit out of the way from my usual haunts, and I was immediately captivated by this attractive village with its mediaeval priory. It’s clearly a bit of a tourist trap, but I’m determined to return soon to sample more of its charms. The Royal Oak is an old fashioned looking inn, with flag floors and an eclectic mix of furniture, including some comfy armchairs and a large open fireplace. During the afternoon, when I was there, it was family friendly. Home made food is served daily at lunchtime and in the evenings. Barely a stone’s throw from the pub is Cartmel racetrack. On race days, the pub has four bars available. In addition to the regular bar, there are two in the beer garden and one outside in the square. Clearly, the landlord is not one to miss a trick! Walk through the pub, past the bar, and you will find the large, attractive beer garden, which was the venue for the beer festival. The garden is bounded on the left by the River Eea, on which the village was built, and on the right by a dry stone wall over which can be seen the lovely local countryside. It’s a truly delightful spot, a hidden gem. To one side was a large barbecue where you could place your order and have your food freshly cooked, and to the back of the garden was the business – the festival bar. 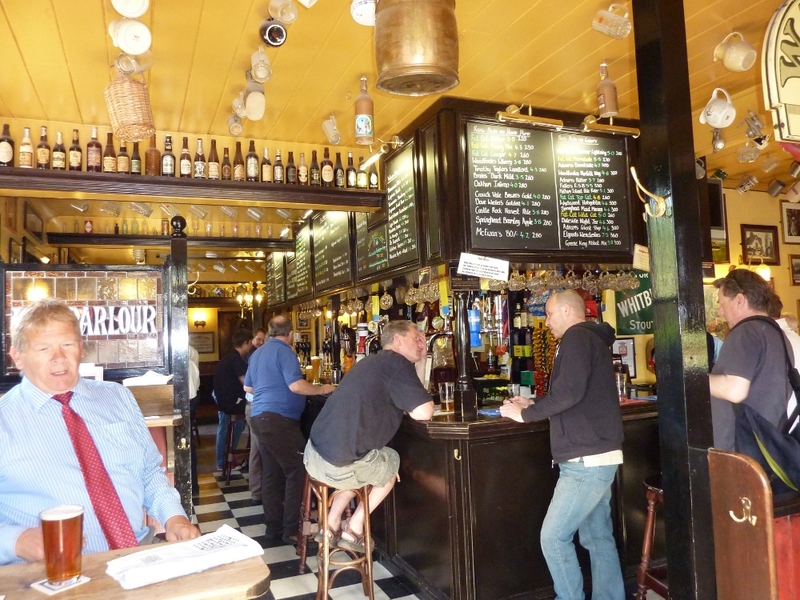 Under an awning was a bar with eight handpumps and a stack of maybe twenty casks. Available beers were chalked up on a blackboard to make choosing a bit easier. There was a good choice of locally brewed beers, so I decided to stay local for my ales. I started with Foxfield Breakfast Beer, a 4.2% bitter which gets its name from the oats that are added to the brew. Now I’ve met Stuart from Foxfield brewery on a couple of occasions, and he’s nothing if not an experimenter. I’d be happy drinking this hoppy, bitter beer any time, but to me it just wasn’t special. If you want special, you should try to get Stuart’s Foxfield Full English Breakfast, a 5.5% dark mild. Sweet, dark and malty with a hint of vanilla – simply beautiful. My second beer was Fuzzy Duck Pheasant Plucker – my, how I laughed at the name! Fuzzy Duck is not the only brewery to use this tired old spoonerism, of course, at least one other, Church End, has fallen for it. Fuzzy Duck is known for its schoolboy beer names – consider their ‘Cunning Stunt’, if you will. Their Pheasant Plucker is a 4.3% bitter, which strangely smells of orange squash. Not fresh orange, definitely cordial. It’s an easy drinking beer, fruity and slightly hoppy with an enjoyable touch of caramel. Less of the adolescent names, please, lads. It’s not big and it’s not clever. Moving on, I next had a Cross Bay Sunset. I know little about Cross Bay. It’s a brand new brewery from Morecambe, so this is all new. Sunset is a 4.2% bitter. I’m impressed with it. It has a breaking head, it’s smooth and sweetish. There is caramel in there with a bitter hoppy finish. This is a good, mature beer, with a nicely complex taste and I look forward to sampling more of this baby brewery’s output – keep it up! Staying local, I next opted for two beers from Winster Valley, a microbrewery located in the Brown Horse Inn in Winster, just a few miles from the beer festival. The first one I tried, I didn’t even realise was from Winster Valley. The pump clip made it look like it was brewed in Cartmel itself. Always read the pump clip closely! Winster Valley Cartmel Hurdle is a 3.5% session bitter with a pale orange colour. There is a sulphurous smell, but the flavour is really sweet and toffeeish. There’s bags of flavour in here for a mere 3.5%. Excellent. The second of their beers was Winster Valley Old School. The barmaid described it as a dark ale, which cheered me, because there didn’t seem to be any dark ales included in the festival at all. When she presented me with it, though, it was just orange in colour. Not really a dark ale, then. However, it was smooth with a malty, gentle bitterness, and very enjoyable. I’d be happy to drink this all night. I finished with a jar of Stringers West Coast Blond. This is a 4.4% pale ale, with a lovely pale yellow colour. Again, I got a slightly sulphurous smell, but this did not follow through into the taste. It starts sweet, with a developing hoppiness. Bitterness grows through to the finish, but doesn’t go too far. It’s good. Very good, actually. All the beers I sampled were local. Foxfield brewery is situated at the Prince of Wales at Broughton in Furness, Fuzzy Duck is at Poulton-le-Fylde, Cross Bay at Morecambe, Winster Valley just a few miles away and Stringers at Ulverston. This was a great local event. 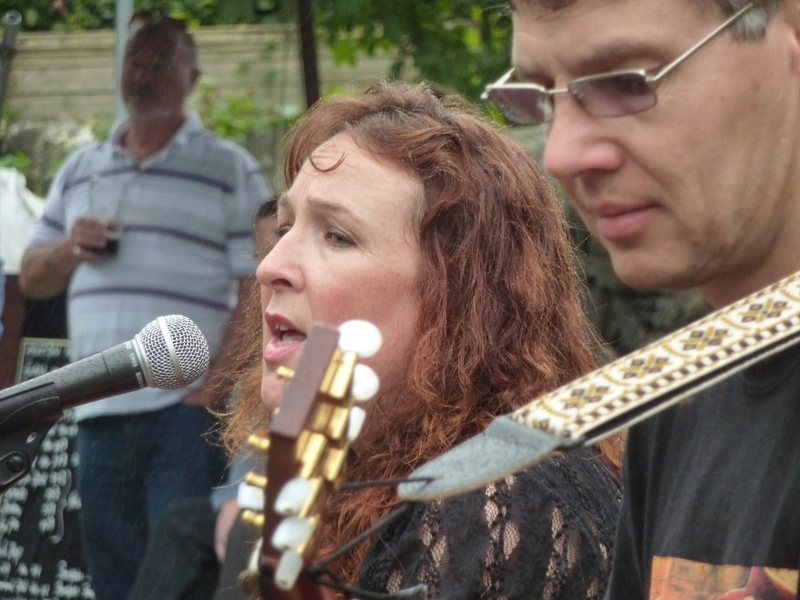 As we drank, we were entertained by local duo Tapestry, whose polished performance was only spoiled when rain stopped play half way through their session. That was a shame, everyone was clearly enjoying the music. The Cartmel beer festival was not a huge, massively organised affair like those stellar beer festivals that stud the beer calendar. It was a much smaller, more intimate thing, like hundreds of little beer festivals that fill up the gaps between the huge festivals. There were something between 20 and 30 beers available during the weekend. I really enjoy those big festivals with over 100 beers on tap, but these smaller events just fill me with joy. I was happy and comfortable sitting out in that beer garden. The staff were friendly and had time for a little banter. Sure, it rained, but so what? If you’ve never been to a little local beer festival, you have missed out on a wonderful opportunity to enjoy yourself in a way that far outstrips your expectations. Do yourself a favour – check you local area for pubs holding a little beer festival. You won’t regret it. Well done, Cartmel. Well done the Royal Oak. Top marks! 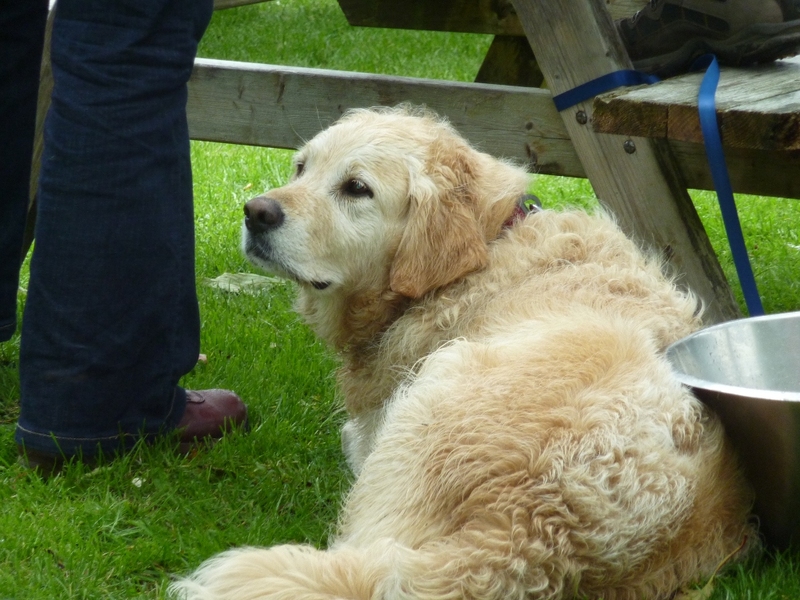 Beer festivals are not just for humans! 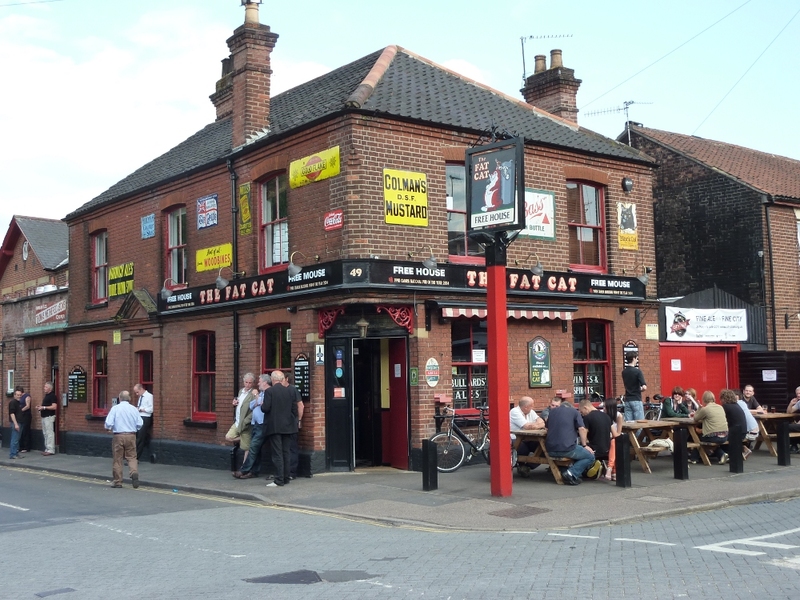 The Fat Cat, Norwich. Pub and Microbrewery. On the face of it, the Fat Cat is a fairly unprepossessing sort of pub. It’s a typical Victorian street-corner pub sitting in the middle of some typical Victorian terraced housing. Look a little more carefully, though, and you’ll see the seating area outside with four solid wooden tables. There are four signs declaring this to be a Free House, but look closer. Two of them say ‘Free Mouse’. More telling, perhaps, are the piles of empty casks that frequently stand in front of the pub. The sheer quantity and variety should be a clue to the fact that there’s something extraordinary going on inside. I visited the Fat Cat on a very warm, sunny afternoon in the middle of June. The pub was clearly very busy already. Many people were seated at the wooden tables outside the pub, and many others were just standing around on the street. We walked in and immediately found a seat. Clearly, people were outside to enjoy the rare English sunshine rather than because the pub was crowded. The interior seems to retain much of its original Victorian look and feel. A black and white tiled floor and little partitions making small semi-private areas all added to the old fashioned ambience of the place. This pub was first mentioned as such in 1854 (when it was called the New Inn) but was badly damaged by enemy bombs in 1942. Much of what we see now must, therefore, be rebuild. The bar is along one wall, long and sturdy, and all over the walls are memorabilia from brewing days of old. Old pub signs from vanished local breweries – Bullards, Morgans and Steward & Patteson, and hanging prominently from the ceiling, a Watney’s Red Barrel – an ironic statement, no doubt. This pub had been strongly recommended to me before I came, and looking at the bar and the blackboard showing what beers were on offer, I could see why. Twelve ales on handpump and a further fifteen on gravity! 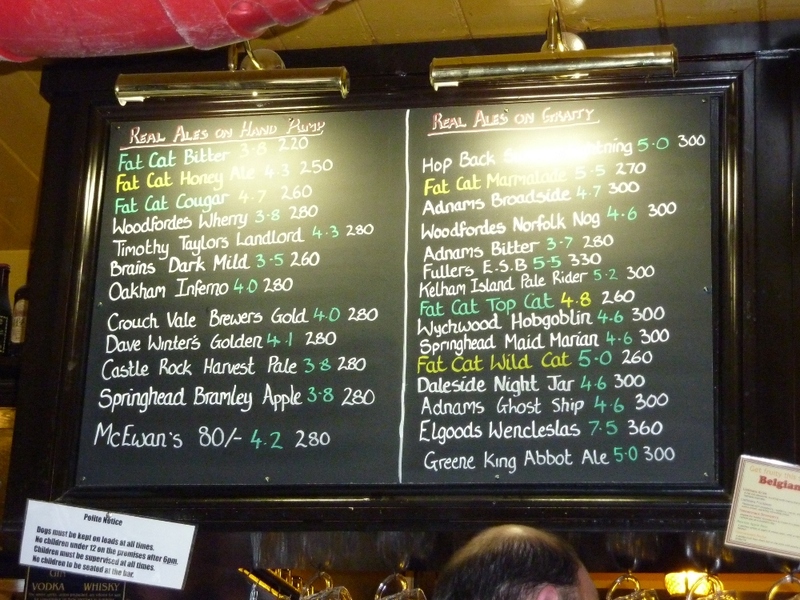 The Fat Cat also has its own microbrewery, which is located at the Fat Cat Brewery Tap, a short distance from the Fat Cat itself. Looking down the list of available beers, I saw that six of their own brews were amongst them. These I targeted first. Each time I went to the bar, I found the young bar staff to be enthusiastic, helpful and polite, that’s something which always endears a pub to me. The first beer sampled was Fat Cat Bitter. At 3.8% this is a traditional bitter, darker than the golden ales which everyone seems to be brewing today. It had the taste of a proper bitter, rounded maltiness with a good bitter hoppy finish. Next, I went for contrast with Fat Cat’s own take on the ubiquitous Golden Ale. This is Cougar, weighing in at a respectable 4.7%. It’s a much paler beer than the bitter, as one would expect. As with many goldens, the taste is predominantly hops – good and strong with a real zing. The hops impart a real bitterness which is both satisfying and refreshing – perfect for a warm afternoon. Next, I was tempted by the Fat Cat Honey Ale. Modest at 4.3%, I was curious how this beer would taste, as honey doesn’t always work for me in beer. It has an instantly recognisable flavour which can be either pleasant or not – the vagaries of the art of brewing. As it happens, Fat Cat have got it right, in my book. The honey taste is apparent, but it’s subdued. It provides a smooth, sweetish undertaste which contrasts very nicely with a hoppy, bitter overtaste. I love a nice contrasty beer, and this is one such. Both flavours are held in the mouth at the same time and provide a great taste experience. By now, I was getting more comfortable and confident in Fat Cat’s ability to brew, so I plumped for a stronger ale, Marmalade Cat. From the name, I expected the beer to have a bitter, orange flavour, and it did not fail to deliver. The beer is not as good-looking as the previous ones tasted, having something of a slight protein haze to its warm orange colour. Made it look more like marmalade, I suppose. The first sensation is of a wonderful smoothness, well-rounded and bitter, leading to an orange flavoured bitter finish. The orange was not apparent to my palate until the end, but there it was. Very satisfying. Feeling less and less pain by the minute, I next opted for another take on the traditional bitter. This was Top Cat, a significantly stronger ale than the Bitter, at 4.8%. This should probably properly be referred to as a Best Bitter. The colour was a bright, deep orange, a beautiful shade that made it almost a crime to drink it. Almost. Again, the first sensation is smoothness. Then a caramel flavour grows in the mouth, warm and chewy. Maybe not a very sophisticated flavour, but utterly lovely. I finished my tour of Fat Cat ales with another strongish one. Wild Cat is a bright, yellow ale with an ABV of 5%. Lots of fruit in here, very full-flavoured. A hint of apple and pear drops intercedes over the bitterness, which grows and grows and continues to develop long after the swallow. This is good beer. I was disappointed that there were no home-grown dark ales on offer, but I did manage to buy a bottle of Fat Cat Stout Cat. The bottled beers from Fat Cat are bottle conditioned, so this was the next best thing to drinking from the cask. Stout Cat is, as you might expect, a stout. Stouts are one of my favourite beer styles, and it annoys me that the style has been completely overshadowed by a Dublin-brewed beer which is not representative of stout. It’s not even a particularly good stout, in my opinion, and when it’s sold in its emasculated, sterilized form (and even worse – ‘Extra Cold’), it’s really nothing to shout about. It is a great demonstration of the power of advertising. Stout Cat, however, is a different thing altogether. It comes in at 4.6% ABV and is a deep rich ruby-red in colour. Sometimes, when you taste a beer for the first time, you just close your eyes and whisper ‘Oh…’ Stout Cat did that for me. It is simply beautiful. Very smooth with sweet roasted malt opening the taste, like treacle. A wonderful warming taste which becomes ever so slightly dry at the finish. Absolutely wonderful! What more can I say about the Fat Cat? It’s a Mecca for beer drinkers from all over the country. It’s within easy reach of the train station, so what’s your excuse? For myself, I will most definitely be back. Time and time again, I suspect. The Wensleydale Brewery is located in Bellerby, a village at the lower end of Wensleydale in Yorkshire. Wensleydale has a special little place in my heart, as I used to camp there with friends during my teenage years. It is also where I first tasted Old Peculier, my favourite ale ever since. So when a friend recently mentioned that he had sampled some of Wensleydale Brewery’s beers and found them to be more than acceptable, I was reminded that I had bought some bottled samples a few months ago. Lantern in hand, I descended into the beer cellar at Alebagger Hall to bring them into the light of day. 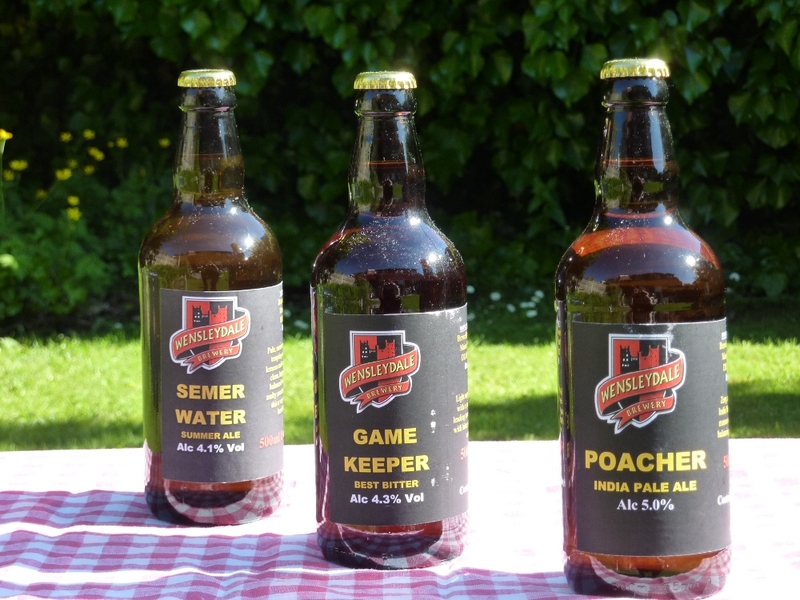 I had three bottles, one each of Semer Water, Game Keeper and Poacher. All three had been purchased at the same time and each had a ‘best before’ date of September 2012. I started with the lowest ABV, Semer Water, at 4.1%. This is described on the label as both a ‘Summer Ale’ and a Best Bitter. In the glass, it was a pale orangey yellow in colour, and although the beer is not bottle conditioned, it was still rather hazy. The beer was bready on the nose, and bread was also present in the taste. There’s a sweet maltiness and an underlying hoppy bitterness with citrus notes. This is all to the good, but overall, I found the taste ‘unusual’, and slightly acetic. Moving on, I turned to Game Keeper, another best bitter at 4.3%. This beer is a darker orange in colour, but again slightly hazy, despite not being bottle conditioned. The smell is predominantly hoppy. The taste is also dominated by hops and is distinctly dryish. The flavour overall, though was not terribly pleasant, again as with Semer Water, there was a disturbing acetic backtaste. I’m afraid my kitchen sink drank most of this one. Finally, I poured myself the Poacher. A 5.0% IPA, very pale orange in colour, this one at least was clear and bright. The nose detects hops and earth. All these beers have tastes that reflect the aroma quite closely, which is not always the case. The taste, predictably enough was earthy and quite dry. It was good, though not exactly to my taste. I would happily drink this beer from the bottle, but if other beers were available, there are many that would tempt me away from Poacher. You can probably tell that I was a little disappointed with my tastings of Wensleydale beers. 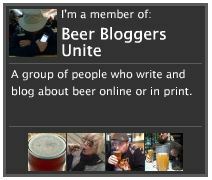 However, when it comes to beer, I am not a ‘one strike and out’ person. The haziness in the first two bottles, combined with the slightly acetic taste suggests to me that these two had begun to sour in the bottle. They shouldn’t have, of course, and maybe it indicates problems in the bottling process, at least for this batch. On paper, or on the computer screen, my descriptions of the tastes of these beers (apart from the provisos) would certainly induce me to try them again. And try them again I will. Wensleydale produces quite a range of beers, and I will not be put off by what may well have been a faulty batch. I’m therefore suspending my verdict on these beers. I’ll keep you posted.